July | 2015 | Paul's Voyage of Discovery & Etc. 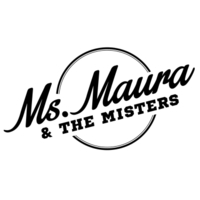 Over the years, my band mates have exchanged thousands of Emails in an informative and entertaining chain of rock trivia, history and lore that is sometimes staggering in its detail. Never more so than when our own guitar hero, Riffmaster Pete Van Wagner, drills down into the details of the equipment used by The Fab Four. What follows is an Email that Riffmaster recently sent. Riff’s response was prompted by a photo of The Beatles in the studio, Emailed to the band by our brilliant drummer, Rockin’ Ronny Crawford. What’s got me going a little bit crazy is the tan Vox amps in the September 1962 Black Eye studio photos. Prices for these amps have gone through the roof on the vintage market. But what’s the story with The Beatles’ tan Vox amps? I’ve always seen them with black Vox amps. When I first saw these photos I thought that maybe the amps were Abbey Road studio amps. 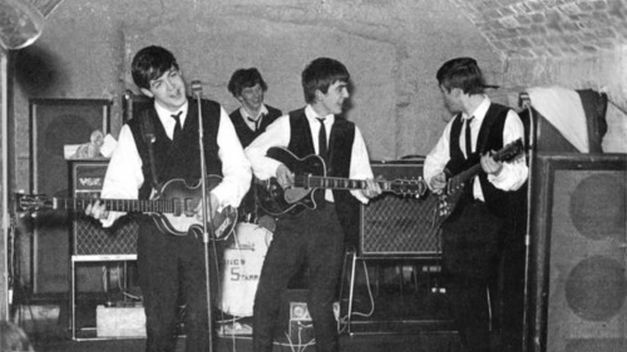 In earlier 1962 photos The Beatles are seen at the Cavern playing Gibson and Fender tweed amps. 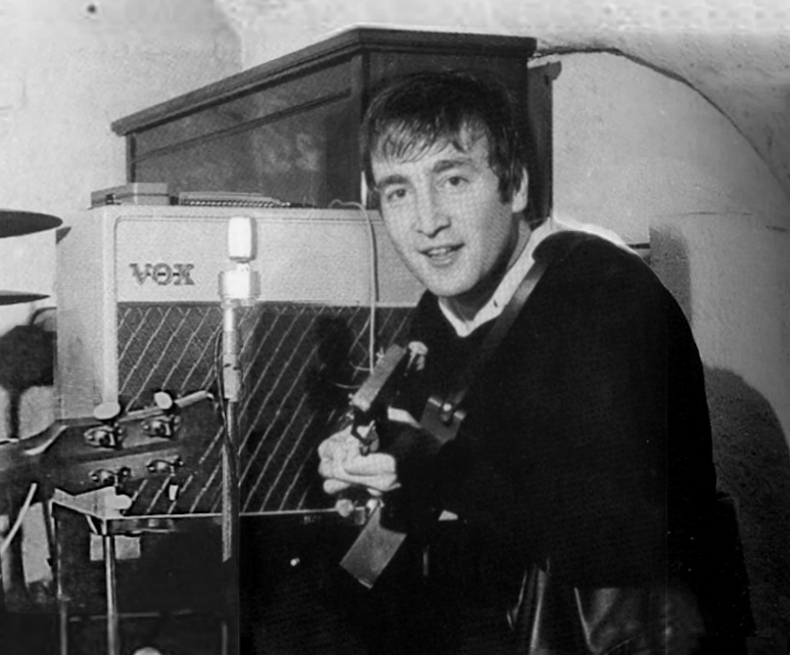 That’s George’s Gibson GA-40 amp on the left behind John. That’s John’s Fender Deluxe amp on the right behind Paul. That’s Pete on the drums. 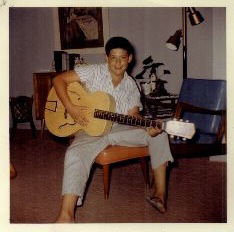 Also note John’s Rickenbacker guitar, that he bought in Hamburg, is still it’s original Natural tan color. More on this later. 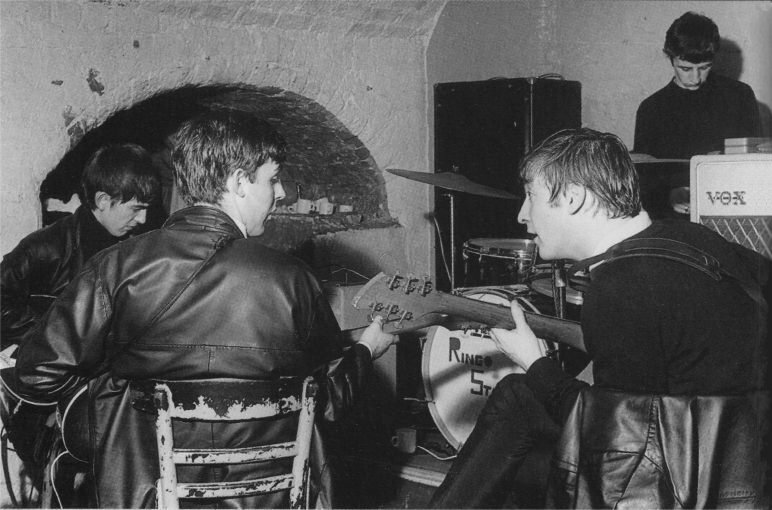 But here they are at band practice at the Cavern with Ringo in August. Pete’s out, Ringo’s in. The old Fender and Gibson amps are gone and the tan Vox amps are in. Hmmm. So I guess they are The Beatles’ amps, not Abbey Road’s. 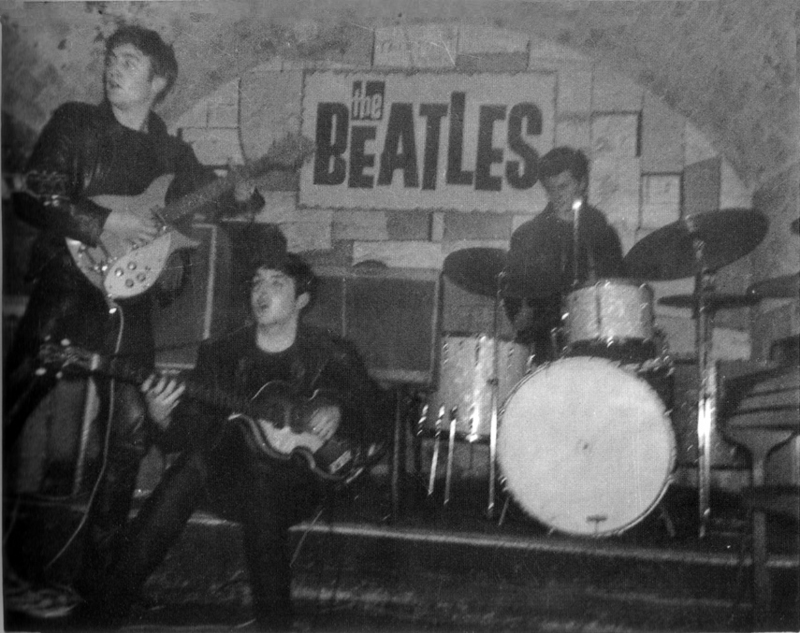 Here they are at the Cavern not long after the September recording session. Black Vox amps. Also shirts, vests and ties. Brian Epstein’s been here. Note Ringo’s drum head still reading “Ringo Starr.” My brain is starting to hurt. The happy faces indicate how happy the Boys were with their free new Vox amps — and with Ringo Starr on skins. Luckily I have the book, The Beatles Gear. Hopefully I’ll find answers there. 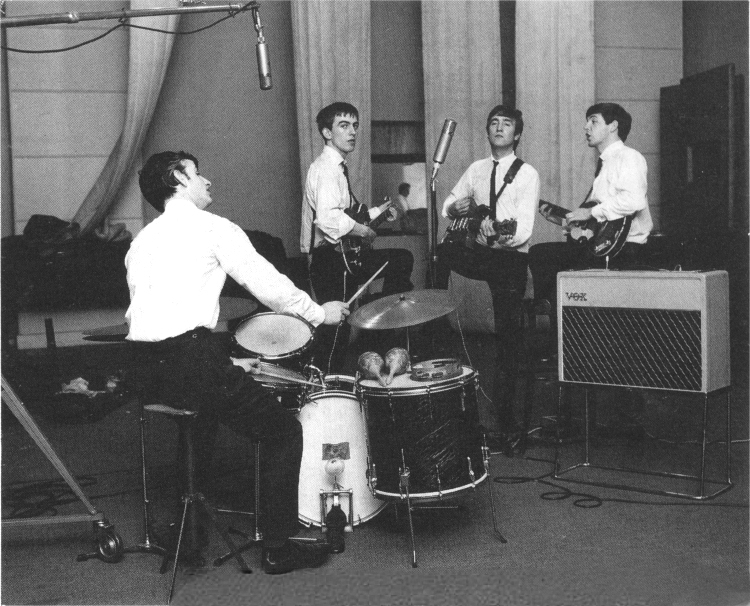 The Beatles came into EMI’s Abbey Road studios to record “Love Me Do” and three other tunes using their old Gibson, Fender and Paul’s TruVoice amp with what’s been called a coffin speaker cabinet. The TruVoice hummed a lot and the other amps weren’t much better. 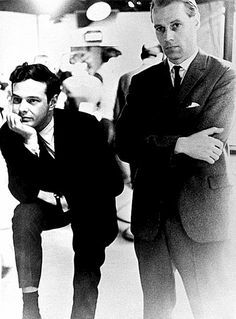 George Martin told Brian Epstein that The Beatles would need professional gear if they were going to continue to be recording artists. George also told Brian at this time that for the next session he, George, would provide a drummer as Pete wasn’t up to the task. Brian went out to buy new amplifiers but was told that the Beatles still owed money for the TruVoice amp. Brian payed off the Beatles’ unpaid loans to Hessy’s Music shop in Liverpool and bought the tan Vox amps for George and John. Paul continued to use the Coffin speaker cab (on the far right in the picture above) with an unknown amp powering it. Hessy’s suggested to Brian the he contact Vox and try to work out a deal with Vox direct. 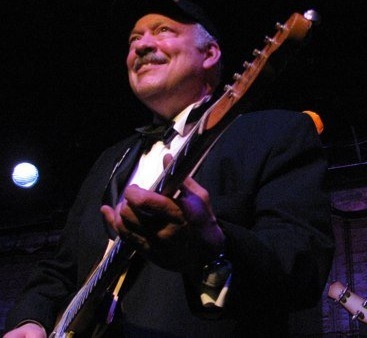 Brian did and was given the black Vox AC30 amps in exchange for free use of The Beatles in any Vox promotion. 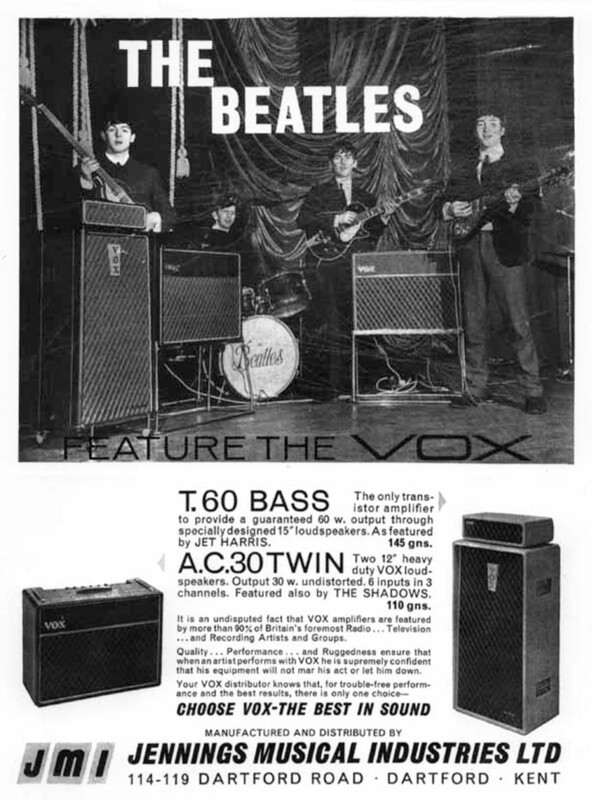 And so it was that The Beatles were given free Vox amps for their entire career and Vox got to use the Beatles as free endorsers for years to come. Note below: John’s Rickenbacker has now been refinished in black. 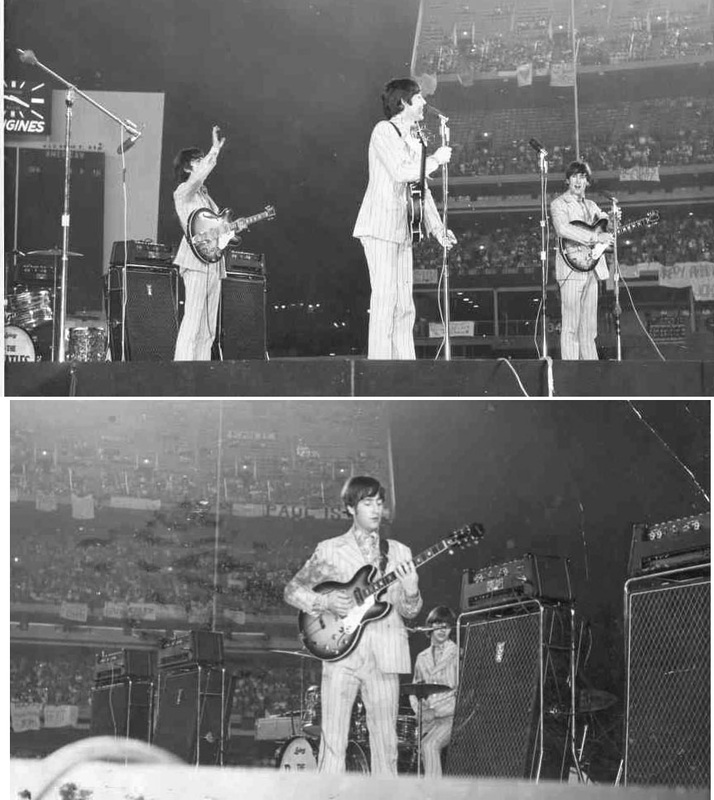 Shea Stadium 1966. Their last tour. I’m sitting over on the first base line with my cousin Michelle. 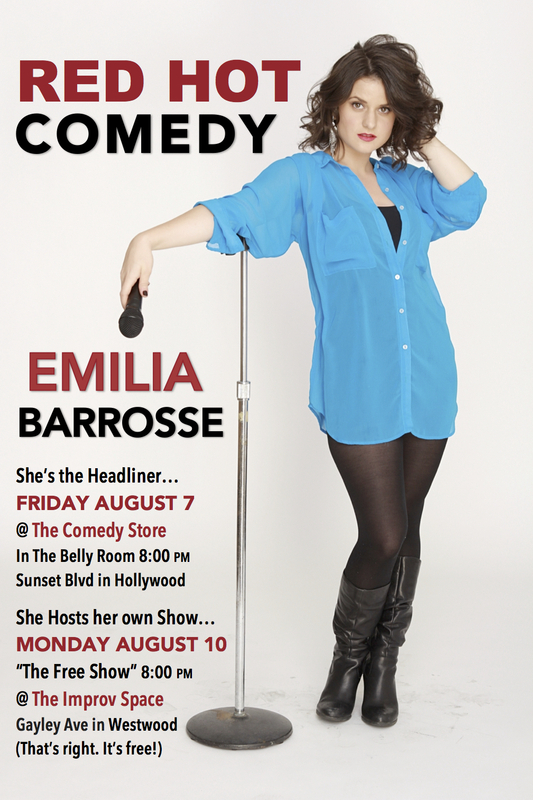 Click here for more information on The Comedy Store. 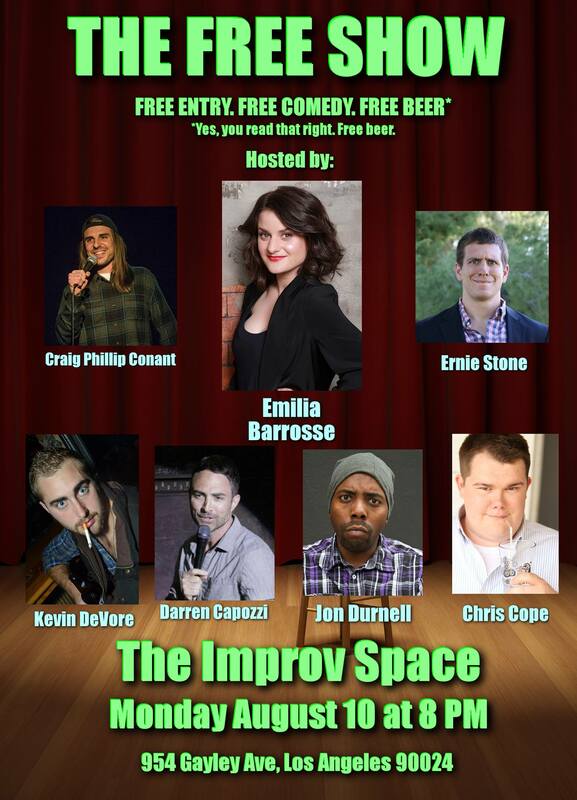 Click here for more information on The Improv Space. Small Ball? Please. The Cavs Go Big. Big Time. 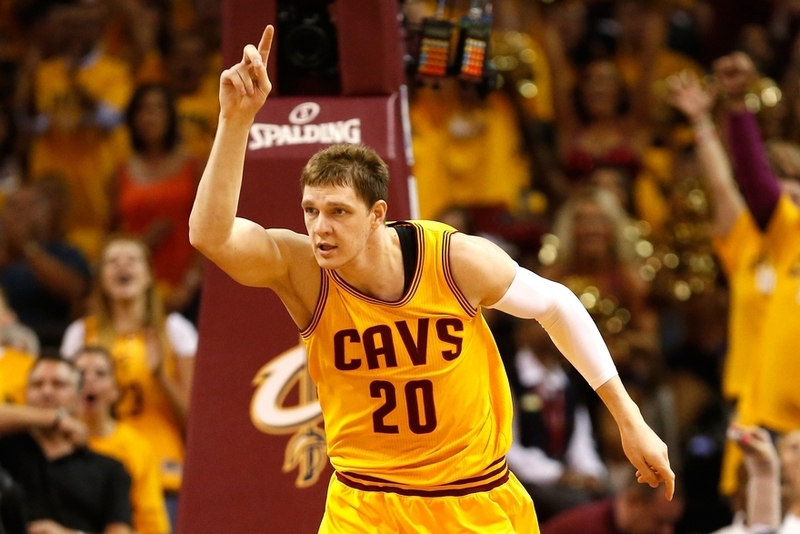 Please pardon this Clevelander for crowing – but the Cavaliers have had a very good offseason so far. 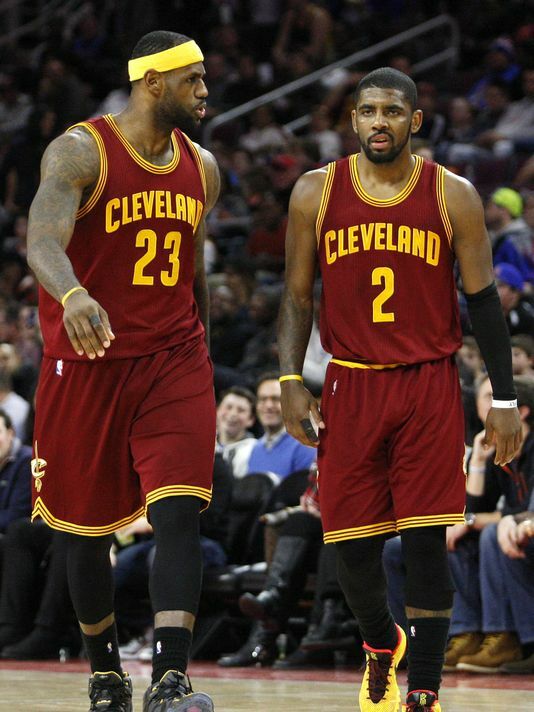 After taking the Golden State Warriors to 6 games in the 2015 NBA Finals without Kyrie Irving or Kevin Love, the Cavs are fully reloaded for the 2015-16 season. 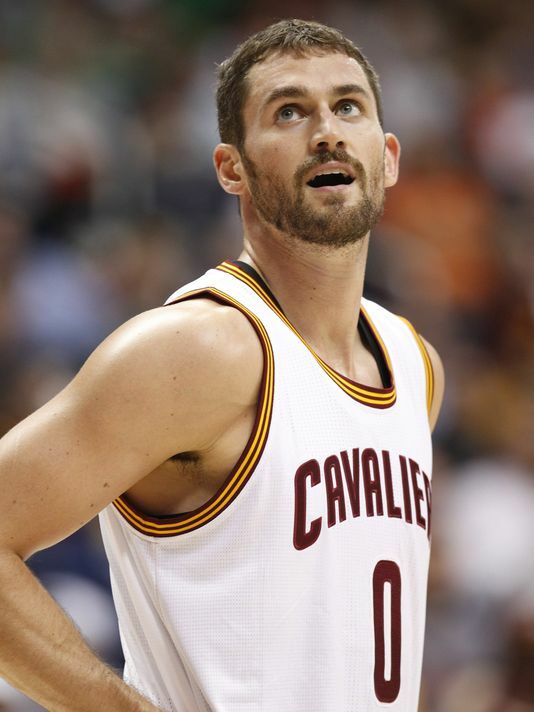 With Kevin Love’s re-signing on the first day of free agency, the message to the rest of the NBA is clear: The Cavs will be going back to the Finals. And this time, barring injury, Stephen Curry and Co. – or anyone else — won’t be enough to stop them. So many trendy NBA pundits and executives have gotten all excited about “small ball” and how the Cavs were done in by Golden State’s jump-shooting lineup of shorter players. But the fact is that the Warriors were nearly down 3-0 to a Cavs team without Irving wreaking havoc at the point or Love stretching the floor, grabbing rebounds and knocking ‘em down from long distance. Take a moment to consider the Cavs starting five. This is a team that can start All-Star Kyrie Irving at the 1. LeBron James at the 2: easily the leagues most overpowering shooting guard. 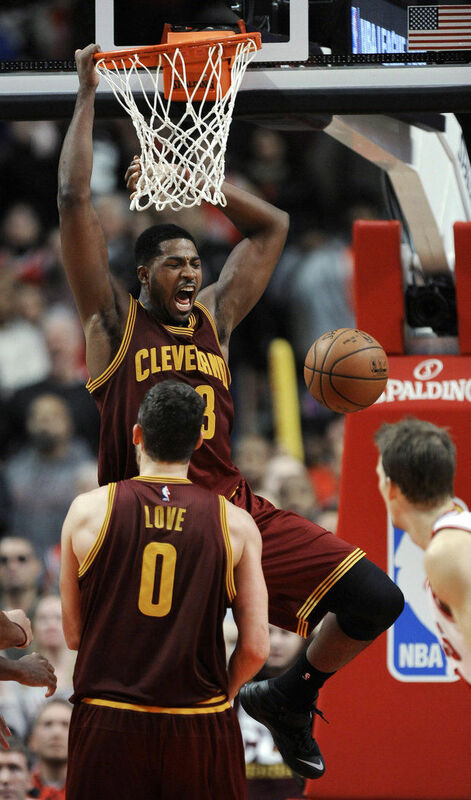 All-Star Kevin Love (6’10”) at the 3, Tristan Thompson (6’10”) at the 4 and Timofey Mozgov (7’1”) at the 5. Let anyone else play small ball. The Cavs front line is a shot-blocking, rebound-eating animal – with a guy in Kevin Love who will murder you from the 3-point line. With this lineup, there is so much less pressure on LeBron night after night. He doesn’t need to score a triple double every night like he averaged in the NBA Finals. He’s got more than enough help in every facet of the game. 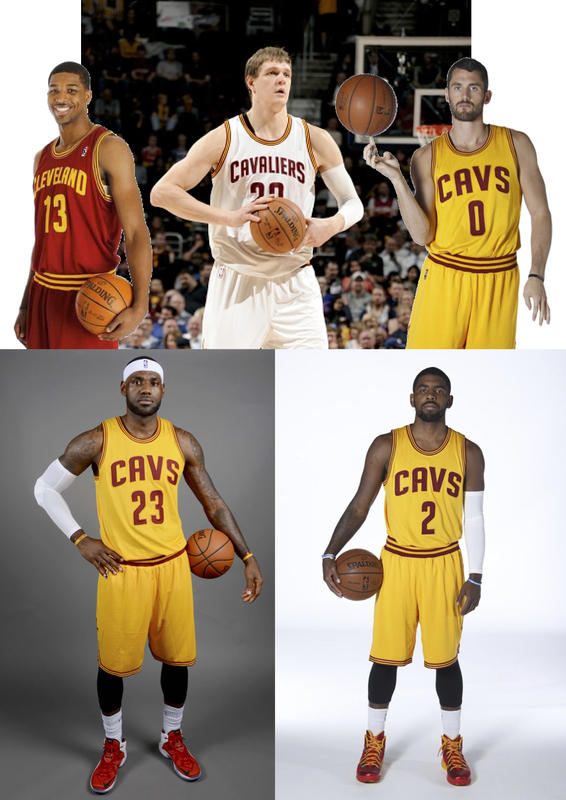 A word to David Blatt: This is your starting five. Do NOT be afraid to start such a big front line. There will be plenty of room in the paint for LeBron and Kyrie to drive to the hoop when Love leaks out to the perimeter and a defender has to follow him. And on defense, no opponent is getting to the rim easily — if at all. Say a prayer for good health, Cavs Fans, our long municipal nightmare may soon be over. And given that the average age of our starting five is just 26 years old — the future of the Cleveland Cavaliers looks very, very big.